What exactly IS Limoncello? Glad you asked. It’s an Italian liquor made from the zest of Femminello St. Teresa lemons, also known as Sorrento or Sfumato lemons. 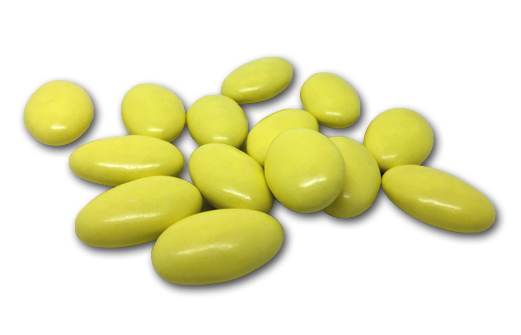 The zest is steeped in highly concentrated ethanol until the lemon oil is released. The resulting yellow liquid is then mixed with simple syrup. The result? An absolutely disgusting liquor. Yeah, I said it, I hate Limoncello. Everyone wants me to try their favorite (ok, maybe 2 to 3 people in my life, but that’s more or less everyone I know so I’m not really exaggerating) bottle, and I always hate it. That’s just me. It’s oddly sweet, and yes, lemony, but for me, it misses the best parts of what a lemon is: sours bright, punchy zing. So these candies…my hopes weren’t super high. But damn, are they pretty. And guess what? They’re sensational tasting too. They have a very nice, warm lemon flavor, but I’m not sure it has anything to do with Limoncello. The combination of lemon, white chocolate & milk is real nice, something I had never tried before. Add a candy coating crunch? And we’re on lock. These strike me as something that’s inherently Italian and local, and thus hard to track down on line. However, I found a link below, and if you speak Italian, you’ll be able to decipher whether they ship to where you live or not. The point is, if you CAN find these, even if you’re not a big chocolate person like me, you need to try them. 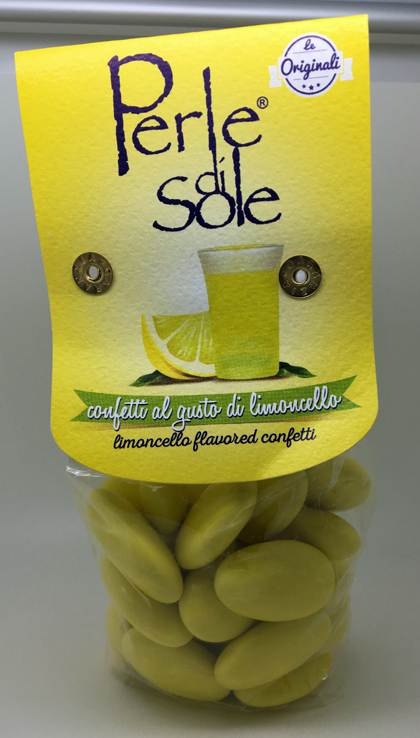 They’re something very different than you’ve ever had before, and if even if you don’t like Limoncello, I bet you’ll like these. Yeah so do we. As far as we can tell, they’re not available anywhere online.